О сайте Professor Shmuel Shapira is currently the Deputy Director General of the Hadassah Medical Organization. 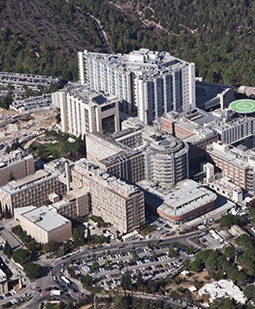 Prior to this position, he served as Deputy Director of Hadassah Ein Kerem University Hospital. Prof Shapira is Lieutenant Colonel (Res) in the IDF. Prof. Shapira serves as authority on terror, trauma & emergency medicine and instructs medical students and physicians in terror medicine, management of mass casualty's events, advanced trauma life support and risk mangement. Prof Shapira is active in several Ministry of Health National committees and councils and is a board member of Magen David Adom. Prof. Shapira has published about hundred different academic publications. In the last years their main topics are: trauma, terror medicine and mass casualty management. Образование Professor Shapira received his medical degree from the Hadassah-Hebrew University School of Medicine He completed two residencies in anesthesiology/intensive care and in medical management, also at Hadassah, as well as advanced training in pain management. In 1992, he completed advanced training in obstetric anesthesia at the University of California, San Francisco.